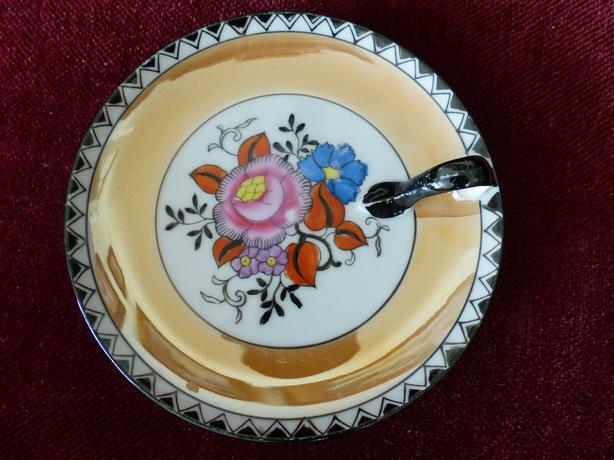 Early 1900's Noritake Morimura 5 inch round dish. Black diamond edge with raised finger-holed handle. From my mom's estate. No chips or cracks, in very good condition.